The day started with fine weather in Sydney. 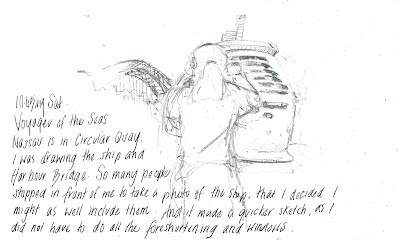 I did not plan to sketch boats (tea cosies were my focus today) but ended up sketching big and small ones. 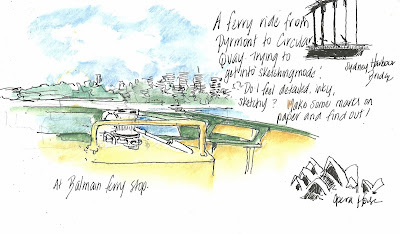 I actually started the day "small" by sketching on the ferry on the way into the city. 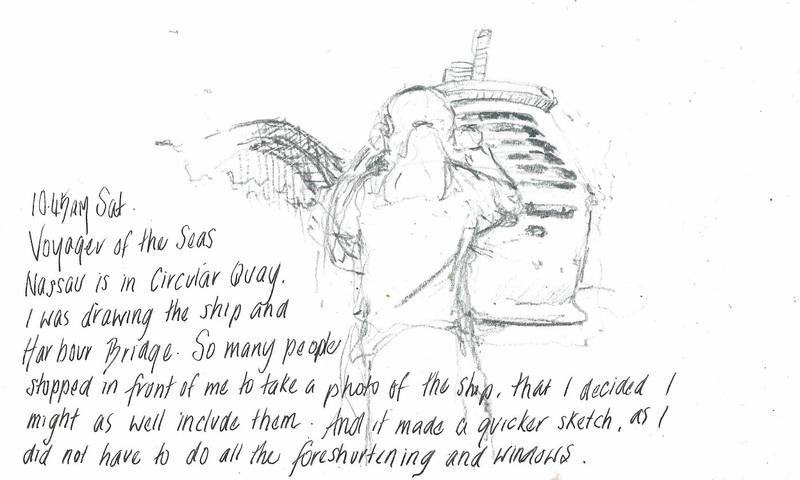 and ended the day BIG with the ships. 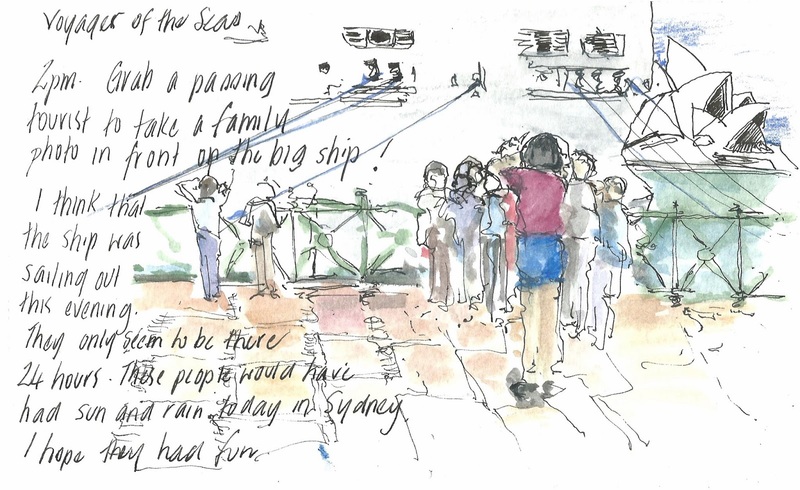 USKSYD Smoked out at Milsons Point!